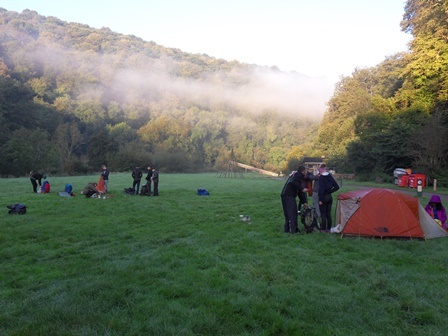 The first of the Silver D of E expeditions was one of the best experiences I have ever had. 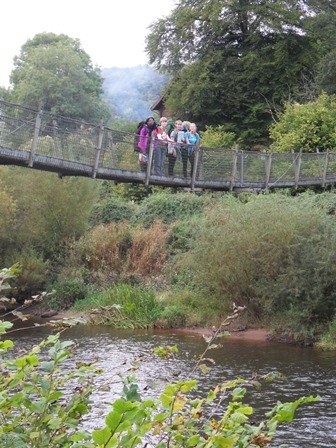 The adventure started with an early morning bus trip to the Forest of Dean. The drop off point was a small lane leading to a field in the middle of nowhere. We were given our trackers, our maps, and a wish of ‘good luck’. Then we were off. My group was the smallest with only 4 girls. By the time we got to the camp we were a solid team. We walked along paths that went through the forest, fields and across bridges, following a gorgeous river for most of the trek. The trip was off to a great start: the scenery was beautiful, marshmallows and a campfire were waiting for us and we didn’t get lost. Then down came the rain. 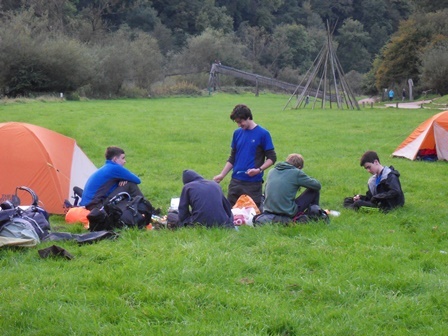 We all made a sprint for our tents and then burrowed down in to our sleeping bags, not really caring that our shoes were getting wet outside our tent because we were warm and full of pasta and marshmallows. 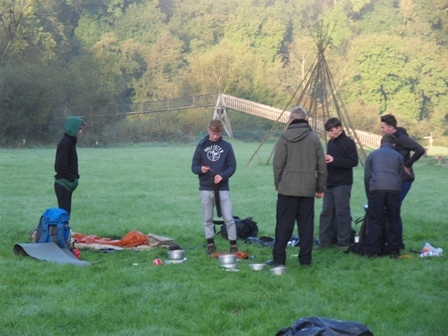 Day 2 – After an alarm call from the teachers, we ate breakfast and set off again. We crossed over a rope bridge and climbed out of the valley. The hill was the longest, steepest hill we had ever seen, however by the time lunch came around we had soon forgotten,as we enjoyed our lunch sitting down. The walking that day was difficult and we got a bit lost, however, we were never far off course. By 4 o’clock we were 100m from the campsite and Mrs. Sexton yelled from her car ‘Almost there girls!’ So we ran as best we could with our bags towards the campsite where a hot shower and a good dinner was waiting for us. It got colder that night and it didn’t warm up until lunch time the following day. So when we got up, we were all shivering. We put on our hats, gloves, coats, thermals, then warmed up our hot chocolate drinks and activated our hand warmers. Day 3 was the most beautiful and interesting. We were walking in the heart of the forest of Dean, where it is very easy to get lost, so we had our compasses at the ready, at all times. We passed BMX tracks, old mines and we got the opportunity to walk through one of the most stunning forests I have ever seen in the UK. Admittedly, we did get a bit lost, but we made it to the end, having had a valuable experience, proving that you don’t learn everything in school. I cannot wait for the real expedition.